This is West Vancouver's finest estate property. An astonishing 13,271 sq. ft. new home constructed over a period of 3 years by master builder, Linda Burger. The almost acre property is masterfully landscaped with mature plantings throughout. Private gates open to a large auto court with covered parking for 7 vehicles. The main floor offers a spacious 4,248 sq. 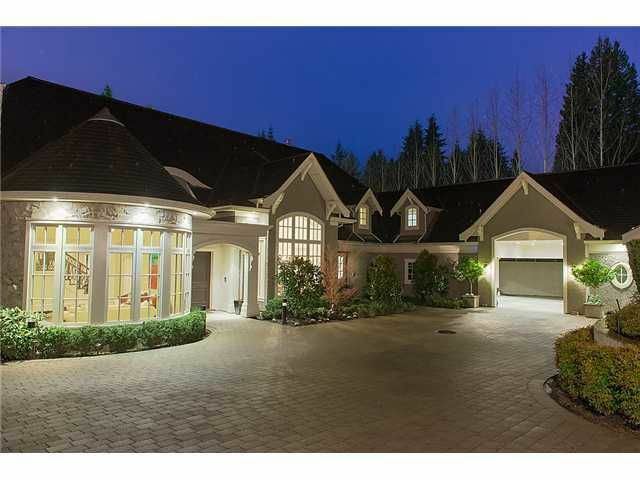 ft. of living space with cross hall living and dining rooms with soaring cathedral ceilings. The layout and flow is spectacular from the high quality kitchen to the eclipse doors opening to a large covered patio, swimming pool, hot tub, barbeque area and gardens. A total of 7 bedrooms and 11 bathrooms ensure luxury accomodations for all.